On Tuesday, the Mitsubishi Engelberg Tourer’s upcoming debut was announced. That name’s about as snappy as a three-day-old breakfast sandwich, but the concept itself actually seems to have a lot of potential. There aren’t many details about this vehicle, beyond that one dramatically shadowed picture and a vague press release. But apparently the full rundown will be published March 5 during a press conference at this year’s Geneva International Motor Show. Mitsubishi Motors is famous for carving its own niche. Soon its latest creation will be revealed, bringing more SUV capability, EV efficiency, technology and style to the lineup. Named after a beautiful; rugged Alpine town with a history of sporting success, the MITSUBISHI ENGELBERG TOURER will make its debut at the Geneva International Motor Show on March 5, 2019. But as you probably guessed based on the picture, which obviously looks a little too extreme to be a production car, this is indeed a concept “produced specifically for the Geneva show” as confirmed to me by Mitsubishi spokesperson. That also explains the name–Engelberg is a resort town in Switzerland. Still. They could have gone with “Joch.” Or “Diavolezza.” What about“Titlis?” Gosh you know what, actually, all the ski resorts in Switzerland have names that really don’t translate to cars. I think somebody saw “Kia Telluride” and, yeah. Silly names aside–I’m actually very excited at the prospect of a knockoff Land Rover Discovery SVX with an advanced powertrain and a Mitsubishi price point–which is what I’m choosing to believe we’re looking at here, until somebody tells me differently. And if that’s the case, Mitsubishi is onto something. Crossovers, SUVs and all things off-road capable are hot right now. Everybody knows this. Meanwhile, the popularity of electric vehicles is building serious momentum. Now, Mitsubishi is in desperate need of an innovative product that stands out in a very crowded marketplace, and ideally has some enthusiast appeal while also having mass-market viability. I think an electric or very efficient hybrid SUV, with aggressive styling and at least some earnest capability, could be just the ticket. 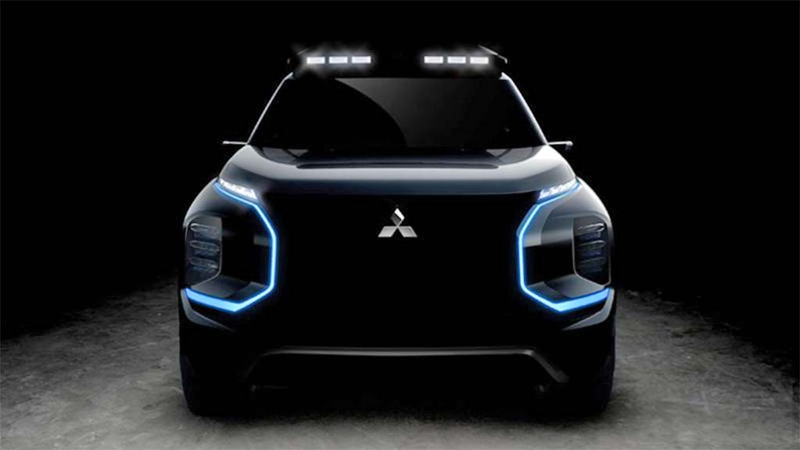 If Mitsubishi came out with a sport utility vehicle that looked cool and had some callbacks to things enthusiasts like about off-roaders, and a futuristic driver experience, built around an EV powertrain, the company could very well start to find its way back to glory in the U.S. auto market. As long as it gets a cooler name.